As investors we use leverage to minimize the capital that we have to provide up front to make an investment. This allows us to potentially increase our gains beyond what we could have gotten if we had only used our cash to make the investment. Imagine that you run a computer business and I’m your inventory supplier and I sell you a computer for $100 but instead of you having to pay me the whole $100 up front I give you the option to pay me $50 now and $60 12 months from now. You will be in debt to me for $60. Now imagine that 2 months after I sell you the computer you turn around and sell it for $200. You can now pay me the $60 you owe me and you get to keep $140. So in total you paid me $110 and you got to keep $90 and all you had to pay up front was $50 to make that $90. That’s using leverage to increase your net worth. You went into debt in order to make an investment and turn a profit. So if you didn’t have the whole $100 up front in cash you would’ve still been able to make that investment and make that profit. And if you did have the whole $100 in cash up front instead of buying one computer to turn around and sell you could’ve bought two and increased your profit even more. Now on the other hand leverage can also be dangerous. Imagine that you weren’t able to sell the computer for $200 and you were only able to sell it for $50 because a new model of computers just came out and it decreased the market value of the computer you’re trying to sell. Well now you only have $50 to pay me back but you owe me $60. This is where leverage can turn around and bite you. You’ll be forced to take a loss on this transaction and pay me the extra $10 out of your pocket for a total of $110 when you could’ve only had to pay me $100 if you had paid cash up front. Now if you wanted to make things more complicated you could double down on your investment and take the $50 that you made from the sell of the computer and come back to me to buy another computer for the same deal I gave you on the previous computer, $50 up front and $60 in twelve months, and you could try and mark up the price on that computer to try and break even but that’s way more complicated than we need to get. And that double down strategy can get you in much more trouble than you were originally in. 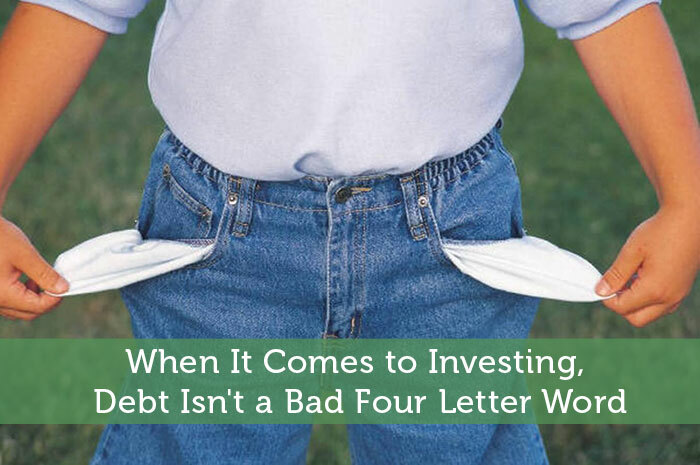 Smart, wealthy investors aren’t afraid of debt and they utilize leverage in their investment portfolio to increase their potential profit and free up their cash for other investments or purchases. When you use leverage in your investment portfolio it’s called trading on margin. The basics of trading on margin are that the bank will allow you to purchase a stock without having to pay the full price for it right away. The bank basically gives you a credit line and will require you to pay a percentage of the total purchase price of a trade up front and you won’t have to pay any more as long as the price of the stock rises or doesn’t fall to a certain level. If it falls to a certain level you will have to make a deposit into your account which the bank calls a “margin maintenance call.” This deposit buys you more time to hold on to the stock in hopes that it rises and you don’t have to take a large loss. If you fail to deposit money into your account on time the bank has the right to, and will, sell the stock to recover their money. In order to use this margin feature, you will have to pay interest on the amount you “borrow” from the bank and the bank will require that your portfolio have a certain value at all times. Margin interest is better than credit card and personal loan interest for two reasons. One, it’s usually lower than credit card interest or loan interest. Two, it’s possibly tax deductible. This is because the government likes to encourage investing and so they allow you to get tax breaks for investment expenses. Just note that trading on margin is only for experienced investors and again, using leverage can be very risky and very dangerous therefore you should avoid it and leave it to the professionals if you don’t know what you are doing. You will find that very few people, if any, have built wealth without utilizing debt. So before you swear off debt you should take time to think like the wealthy think and see debt for it’s potential advantages. Money is a tool and debt is a foundation to build upon when used properly. Don’t fear debt, embrace it and make it work for you. I’ve shied away from using margin after a recent experience where I had a stock quickly go down, resulting in a margin call that made me take significant losses, only to watch it skyrocket almost immediately after. With the market being rigged, it’s good to use leverage when it works out, but if you’re on the wrong side of the fix, it can work against you big time. The other issue is the effect of rising debt levels on the economy as a whole. Where I live in Australia, property investors are taking up multiple mortgages to take advantages of capital gains. Hopefully the bubble doesn’t pop like it did in the US!